Flat abs are the prize of the fitness world, but some people believe that defined abs are simply not in the cards for them. I believe the opposite: They're possible, and they're worth the work and time to achieve. After all, they're the focal point of the upper body, and for better or worse, many of us use them to measure our fitness. The path to defined abs is different for every person, but the fundamentals are the same: hard work, clean eating, and real focus. Here are 20 strategies that have proven extremely effective for me, and for the guys I mentor. 1 / Follow the "Help-Hurt Rule"
This strategy is nothing more than a question that you keep on the tip of your tongue all the time. When in doubt, always ask, "Will this decision move me closer to my goal or farther away?" This may sound like a passive step, but the important decisions you make about your body aren't always big decisions. Often, they are small choices we make daily—things like if you should do a workout or skip it, what to eat for breakfast, or whether to drink just one beer or a few. Other decisions may be bigger, like whether to get a coach, or if you should train for a physique competition or another competitive event. Regardless of whether the decision is big or small, you need to always ask yourself if it will help you or hurt you. Does it fall in line with your goals or does it veer off the path? These decisions all add up, and the bad ones add up on your stomach. When you're out and about, at work, out with friends, or at someone else's home, it's easy to be tempted by foods you know will work against your goal of having a flat stomach. Fighting temptation 24-7 is exhausting and impossible for just about anyone, no matter how committed they are, so don't beat yourself up over it. At home, though, you are in control. Make a decision that you will only have healthy foods in the house. Fill your kitchen with fresh vegetables and fruits, nuts, seeds and a wide variety of proteins. If you want to have chocolate ice cream as a hard-earned treat, go out to the ice cream shop to get it. If there's a half-gallon in the fridge, it's more likely to become a nightly downfall. It's well known in the fitness community that stress stimulates the release of cortisol in your bloodstream, and that chronically elevated cortisol stimulates the storage of fat around your abdominal area. But did you know that even small stressors can signal cortisol release? Several years ago, a weight-loss study found that even the simple act of counting calories stimulated cortisol release in dieters! That same study showed that irregular or insufficient sleep accounted for a significant increase in cortisol levels. What can you do to cut down on stress? Start out by getting at least eight hours of sleep per night, at roughly the same time each night. Set a time when the email, cell phone, Facebook and everything else gets shut off. Then start every day with three minutes spent inside your mind, considering everything for which you are grateful. Later on, devote 10 minutes in the middle of your day to sitting and listening to music, meditating, prayer, or something else that makes you feel calm. There's nothing wrong with splitting your workout into two 30-minute routines instead of a standard 1-hour program. In fact, it can help you. Two half-hour workouts allow you to pump more intensity and density into your workout because you can recover somewhat in between. Also, an intense 60-minute workout can stimulate cortisol release and run you into a catabolic state. Notice that I'm not even talking about direct ab training. This is no coincidence. In my opinion, abs are ultimately the result of a solid overall approach to fitness and nutrition. But if you're dying for ab routines, I recently assembled my most effective workouts. Both IFBB pro bodybuilder Ben Pakulski and strength coach Charles Poliquin convinced me to try the meat and nuts breakfast, and it has been the single most effective diet tip I've ever gotten. I used it to get in my leanest shape ever: 4 percent body fat for the 2011 WBFF World Championships. The first thing you put in your mouth in the morning sets your neurotransmitters for the day. If you drink orange juice or other high-glycemic foods that cause a spike in insulin, this will trigger serotonin, which will make you feel good, but it will also make you sluggish and tired. Protein and low-glycemic nuts are the perfect combination to boost the neurotransmitters dopamine and acetylcholine. This breakfast will get your muscles to bulge, not your gut. 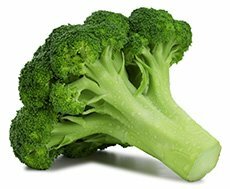 People who try this food combination tell me they experience a heightened sense of drive and focus, as well as reduced food cravings. This combo also contributes to a slow rise in blood sugar, preventing crashes associated with high-carb breakfasts. I aim to never eat carbs with breakfast. Earning your abs isn't just about fat-loss. It's also about building muscle. That added muscle speeds your metabolism and also powers you through the fat-burning cardio workouts that help you get leaner. But working out is only one part of building muscle; you also need the right nutrition to promote muscle protein synthesis. Protein synthesis is the means by which your body uses dietary protein to build new muscle fibers. Those muscle fibers are all made of various amino acids, and one of the most important for gaining size is leucine. A steady supply of it throughout the day can help you build new muscle, and frequent high-protein meals are a great way to get that steady intake. So what's the ideal schedule? You'll get different answers to that question. I've tried consuming my macros in two, three, and four meals per day, and each time I got smaller and weaker. Based on my personal research and experience with my diet, as well as working with hundreds of face-to-face clients and tens of thousands of online clients, I concluded that five whole-food meals and one shake per day is optimal. This has worked most effectively for 90 percent of my clients, 90 percent of the time. Eating six meals per day is also a realistic way to divide your day's protein, if you can make it work. You will generally get about 3-5 g of leucine in every 30-50 g of protein, so dividing your intake into 5-6 total meals (using a diet with 200 g per day as an example) puts you right where you need to be. 7 / Stop Counting Calories! Counting calories is a pointless enterprise. The research clearly shows that all calories are not created equal. However there are a lot of organizations that make insane profits by getting people into weight-loss programs using caloric models, which is why this myth will probably never go away. Reason 1: Different macronutrient ratios evoke different hormonal responses in the body. For example, if your meal has more carbs, you're going to secrete more insulin and your thyroid and cortisol profile can be affected negatively. Reason 2: All foods don't break down in the same way. It takes far more effort for your body to process meat than, say, pasta or processed cookies. So the rule of thumb is, the more whole foods you eat, the more caloric cost. Use this to your advantage. Reason 3: Counting calories takes a lot of time and most of us can't commit to it faithfully enough for it to even be accurate. Also, studies have shown that counting calories is stressful enough to stimulate the release of cortisol. You can weigh your portions, eyeball them, or measure them by cups. Even though I've competed in more than a dozen physique shows and have a lot of practice at measuring portions by my eye, I still use my food scale regularly. As I said in a previous article explaining how to calculate your macros, what gets measured gets managed. When it comes time to make changes in my diet, I do so in small increments. For instance, 8 ounces of fish might become 10 oz. as I become leaner—yes, I increase protein intake as I become leaner; I do not reduce it. A 1.5-cup serving of rice might become 1 cup of rice, and 12 oz. of sweet potatoes might become 10 oz., because I reduce carbs slowly as I get leaner. I hardly ever bother measuring things like fresh vegetables, because I eat as much as I possibly can. The minimum I'll use in a meal is 1 cup. Not measuring portions or using a scale is about as smart as trying to save money without looking at your bank statements. I don't use the word "cheat" to describe any meals, because cheating is associated with guilt and shame. I prefer "treat" meals. When it comes to fat loss I don't allow treat meals until I'm am less than 10 percent body fat. That's the line I use: 10 percent for men, 16 percent for women. Once you arrive at that body fat benchmark, you're in the clear to have a treat meal—not a treat evening—every 5-7 days. If you stick to your program, work hard, and eat clean 90 percent of the time, you have the right to occasional treats. Scheduling them into your diet can actually work wonders. When it comes to bulking up, I usually do two treat half-days per week, on Thursday and Sunday from noon to midnight. My wife and I will go out for dinner those nights, often followed by a movie and some treats. By building in my treat days, I avoid giving in to cravings the rest of the week and I'm able to sustain a healthy diet over the long term. Of course you can have your carbs! You just have to earn them. If you're more than 10 percent body fat, you haven't earned them yet and will need a relatively low-carb diet, That doesn't mean zero. Low-carbs for some big guys might still mean 200-300 grams per day. If that's you, stick to low-glycemic carbs, green veggies, and focus on proteins and healthy fats until your body fat goes down. Starting your day with some greens ensures that you get a serious dose of the micronutrients you need to get lean and build muscle. You get plant-based proteins, antioxidants, and a healthy dose of vitamins and minerals, all for minimal calories. I call juicing "the ultimate fast-food nutrition," because you infuse dozens of nutrients into your cells within 15 minutes. I start with a cucumber and celery base and then improvise from there. I'll add things like kale, broccoli, spinach, parsley, and a little mint. Experiment with a wide variety of combinations to keep it interesting, but be sure you get plenty of dark leafy greens in there. Also take this as an opportunity to take in nutrient powerhouses like chia seeds, aloe vera, and chlorophyll. These gelatinous fibers are extremely powerful for helping your body excrete toxins, and they've definitely earned their reputation as "superfoods." You should be wary of possible food allergies for general health reasons, but there are also reasons specific to fitness and physique. Food allergies, like allergies to gluten or dairy, can cause bloating and slow digestion, making it hard to get and maintain a flat stomach. If you suspect you might have a food allergy, get tested. Even if you don't do that, consider cutting out the food group in question for a couple of weeks and tracking how you feel in a diary. Typically, if you're allergic or sensitive to a food, you will notice less bloating, gas, swelling, and fatigue without that food. If it's something you've been eating on a regular basis, the difference could be profound and almost immediate. You don't have to be allergic to a food for it to cause some of these symptoms, either. If you have trouble digesting a food, eating it can cause you to feel bloated, tired, or gassy. A couple of weeks without it may be just the push you need to identify the culprit and cut it out permanently. I keep rotating protein right up to showtime, as you can see in this video from right before the 2011 WBFF championship. Need a few suggestions? Elk, venison, turkey, and scallops are all underutilized protein sources. Try to choose from a variety of seafood, poultry, game, and red meat, instead of focusing too much on steak or chicken breast. You have to have adequate volume if you want to build new muscle and see real gains. You can split this into two workouts per day, but get the bare minimum total each week. If you're not weight training a minimum of five times each week, for at least 45-75 minutes per workout, you will not optimize your results. 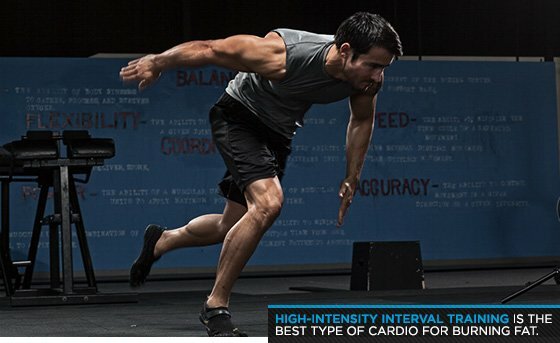 High-intensity interval cardio is the best type of cardio there is for burning fat. Nothing you do in the gym will strip the fat faster and get you closer to a flat, defined stomach. It's not for the weak of heart, but the results are incredible. The other advantage of high-intensity interval cardio is that you get better results in just 20 minutes, three times per week, than you would with an hour or more of regular steady state cardio. That frees up a lot of time to work on other things and it also makes it easier for you to work your cardio into your busy schedule. Alcohol is, in most cases, nothing but sugar and empty calories ... so are most desserts and sweets. If that doesn't hit home for you, how about this: Research has shown that a heavy night of drinking on Friday night will suppress testosterone levels until the following Wednesday. Yikes! Yes, I encourage treat days, but not necessarily filled to the brim with sweets and tequila. Limit alcohol and sweets to special occasions like holidays, anniversaries, birthdays, or a romantic date. Look at it this way: which will make you happier, six pack abs or a six pack of beer? This change will be harder for some of you than others. But you'll find that after a few weeks of going without so much sugar and alcohol, your body will crave it less and less. Not only that, but when you do have it as a treat, you'll want less of it. Most of your nutrients should come from whole foods. However, some recent research concluded that we only receive approximately 40 percent of the nutrients we should be getting from our foods, due to the degradation of our soils. That's scary, but it's also a good argument for the judicious use of supplements. I'm a fan of insulin-management supplements, such as such as IC5 from BioTrust, to help minimize insulin release and fat storage. Probiotics are great to keep your digestive system running properly, and magnesium, Vitamin D, Vitamin C, and fish oil all support overall health as well as fat anabolism. "Bulking" and "six pack" abs in the same article? Sure, as long as you do it right. Cyclical bulking, or shorter periods of both bulking and cutting, maximizes the advantages of both cycles and minimizes the hormonal downsides. Forget the sloppy months-long bulks of the past. When you transition from a short cutting cycle to a bulking phase, it boosts your metabolism and anabolic hormone levels. Then you switch back to cutting before those hormone levels have completely adapted to the increased caloric intake of your bulking cycle. On your next cutting phase, you'll be able to take advantage of increased insulin sensitivity and optimized hunger and fat loss hormones such as leptin and ghrelin. Once again, you switch back to bulking before these hormone levels adjust. I've gotten incredible results from doing between 2 and 12 weeks of bulking followed by 1-4 weeks of cutting. 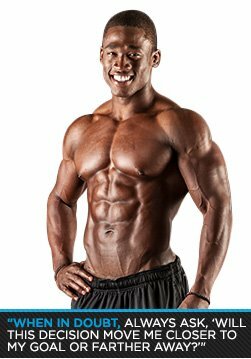 I've outlined how that works, along with identifying some of th most common bulking mistakes in another article on Bodybuilding.com. Break your main goal—which is flat, cut abs, in case you've forgotten—into smaller goals, such as losing one percent body fat, or increasing the intensity and volume of your ab moves. Then set a deadline for each one. We're far more likely to accomplish something if we set up some kind of accountability. This is where a training log comes in—I strongly advocate using one! You must have a definite plan, accountability, and a way to track your progress and make your next plan. Otherwise, you just fly blind. You might make some accidental progress, but you won't be able to get anywhere near maximum results. If you're serious about getting a flat, defined stomach, and you're not getting the results you want fast enough, stop writing your own programs. Get a trained professional to design a periodized program for you, with the right continuity and progression from one phase of training to the next. You could also sign up for my Hypertrophy Max program to get the type of serious professional input you need to achieve an ambitious goal.